This hanging pendant with flowers is designed by Jeniffer Kirk. 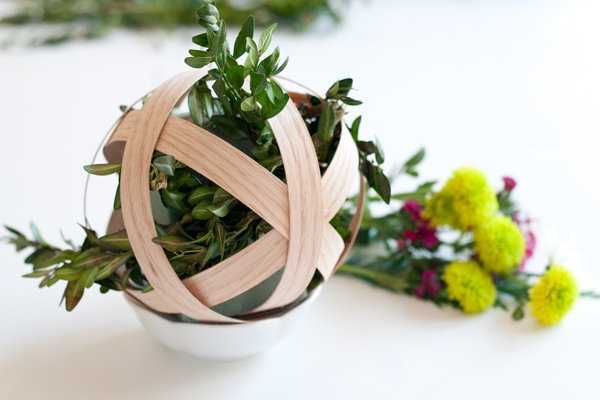 Charming Boxwood Pendant with Flowers is an unusual flower arrangement that is easy to create. A single pendant or few flower arrangements grouped together are excellent home decorations for special occasions and holidays. 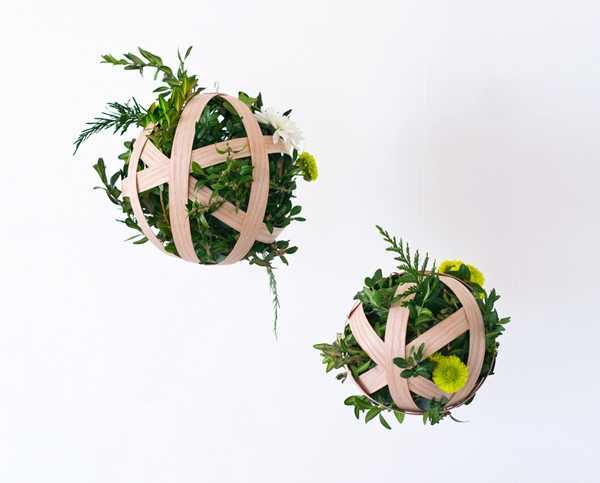 These unusual flower arrangements can be made with wood veneer edging, small cup hooks, wood glue, hot glue gun, small brick of green dry floral foam, grass and flower cuttings, fishing line or string, C-clamp, binder clips, ruler, scissors, power drill with thin drill bit. 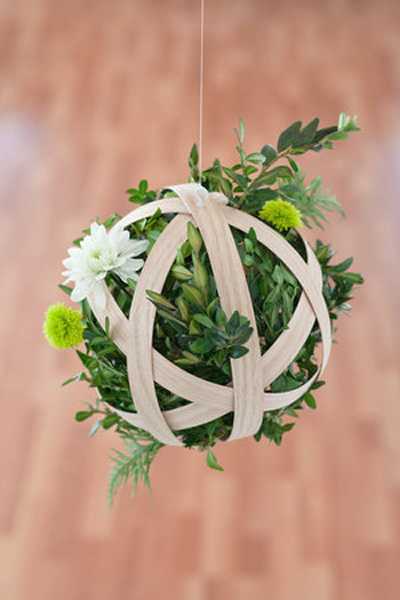 Hanging decorative balls with flowers make wonderful gifts and excellent wedding decorations. Here is a set of photographs that help create these beautiful, stylish and unusual flower arrangements for your interior decorating and make a special event unforgettable.